Because it's hot outside, we installed 13 new fire pits last month alone. Free Repair, Service, or Installation estimates. We will Repair, Install, and Service ALL brands of equipment. Fire Pit troubleshooting is one of the most common phone calls we get day in and day out. We’ve spent years learning all of the ins and outs of every major brand of fire pit out there. We’ve seen all types of fire pit problems and have been able to either fix or replace either the specific parts or the whole unit without too much hassle. The fire pit is an important part of your household equipment in Spokane because of the cold weather you experience while living in the area. Each year for the last couple of years we’ve set several records for the coldest days on recored. Brrrrrr!!! You will find a fire pit of some type just about anywhere you go. It’s easy to find anybody to come help you get a fire pit repaired, but you won’t find a company that will come over faster, get the repair don’t more quickly, while saving you time and treating you like you’re important - like Air Design will. Nobody likes the unsatisfactory feeling of being too cold, which makes a fire pit service and repair common in Spokane. 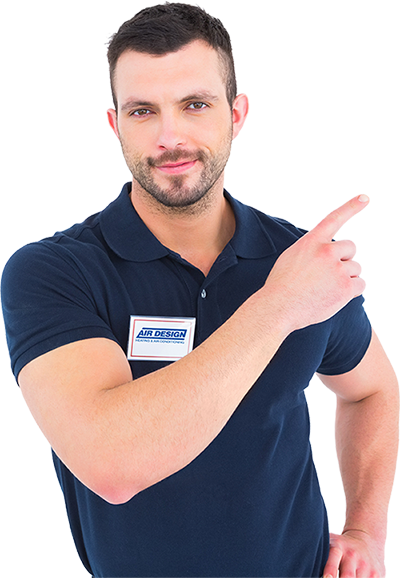 Air Design has been in the HVAC installation, service, and repair industry for years -and- we’ve seen it all! It’s quite rare that we see a new problem from the environment, animals, or just the wear and tear of use on your HVAC system. We’re the good guys and love what we do. We invite you to speak with the “expert experts” in fire pits so that we can either help you solve a problem or install a new unit the right way the very first time. Nothing says gather a group of friends and family together like an outdoor fire pit. Not only that, but fire pits are a great way to extend your party space to the great outdoors. Another factor with outdoor fire pits – they can provide an opportunity to cook food. Although, not as straight forward as a grill or BBQ unit, fire pits and outdoor fireplaces can still provide a flame. Nothing is better than toasted marshmallows or kabobs. Fire pits and fireplaces can provide heat to stay warm, even when you typically wouldn't spend time outdoors. The benefit is that you can extend your spring and fall entertaining seasons a bit by staying warm on those chilly evenings. Even if you aren't in to throwing parties and entertaining outdoors, the ambiance that a fire pit provides is worth the investment alone, especially if you spend time star gazing with a loved one. A fire pit allows you to sit next to one of nature's most captivating elements from the comfort of your backyard. If there is a problem with your outdoor fire pit at your home or place of residence, then the cost to repair to your system may become more expensive. This will depend on the size and scope of the damage to the fire pit, but should be less costly than simply replacing the fire pit unit itself. Consider that there might be the teardown and fix up of the lawn or concrete in the area. That might include the grass or the retaining wall and touchup work. Not to worry though, as this is the least common problem that we face when working with furnace service repairs. Finally, fire pits and fireplaces are a nice addition to your home that can add value if you ever decide to sell it. They are attractive features that can really help make your home stand apart from others in your neighborhood. For all of your custom fire pit and outdoor fireplace needs, contact us at any time and we'll be happy to help.